It was a typical Sunday morning. are not always, the way we presume. interest in reading his books. message and we decided to meet the coming Saturday. 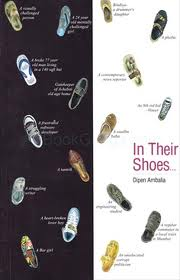 I was so delighted to recieve signed copies of his books ‘In their shoes’ and ‘LOSER’ . language, with a mix of Hindi phrases. This ‘Hinglish’ style gives the ‘real touch’. book gave away the secrets of an IT professional’s life, the On-site projects and the salary packages. Daughter-in-law and Engineering student funda. and also make you smile! Sounds interesting.. need to check this one out! 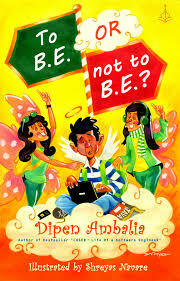 after reading "To B.E or not to B.E.? ", I thought of reading previous satire by Dipen Ambalia and this too was awesome! satire at its best! totally loved the way he has covered the IT industry. even though I am yet to graduate as an engineer, I now have an idea of what it would like to be in the IT world. 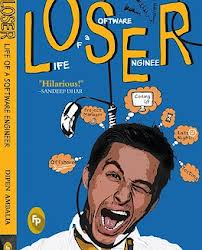 Being a computer engineerign student, this book was of interest to me and now i am better prepared to enter the It world… kudos to the author for such humorous books!